The Press Pot Coffee we’re brewing this week is Panama Carmen Estate. 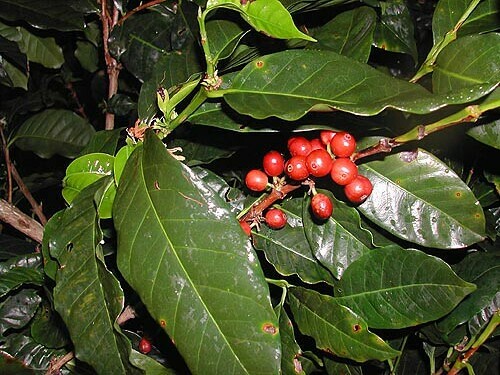 This award-winning coffee was rated #3 Best of Panama 2003-2004, and #2 in 2005. The coffee was also the First Place Coffee in the 2005 Rainforest Alliance Cupping competition. This select crop has a bright raisin flavor that cools to a distinct cherry flavor. It’s delicious. Ripe coffee cherries of this coffee, Paso Ancho, Volcan.